Please feel free to contact me if you have additional questions or to schedule and appointment. I can be contacted by phone (425) 495-3031, email info@brandyhofstad.com, or enter your information below. Please note that I can not guarantee the security of email. * Turn onto Wolverine Drive (heading up to Bellevue High School), take immediate right into parking lot. *Free parking is available, there is an upper and lower parking lot. 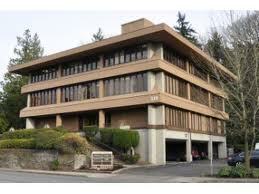 *My office is located near downtown Bellevue, about 8 blocks south of Bellevue Square, down the hill from Bellevue High School. *Providing counseling services for the Eastside and surrounding areas. Serving nearby neighborhoods; Beaux Arts, Bridle Trails, Clyde Hill, Crossroads, Downtown, Eastgate, Enatai, Factoria, Hidden Valley, Houghton, Hunts Point, Interlake, Lake Hills, Lakemont, Lake View, Mercer Island, Medina, Meydenbauer, Newcastle, Newport Hills, Newport Shores, North Bellevue, Overlake, Phantom Lake, Redmond, Robinswood, Somerset, Tam O'shanter, Vasa, West Lake Sammamish, Wilburton, Woodbridge, and Yarrow Point.